CANCUN, Mexico, February 2, 2019	(Newswire.com) - New Year's Eve is the time for the biggest celebrations and to go all out. 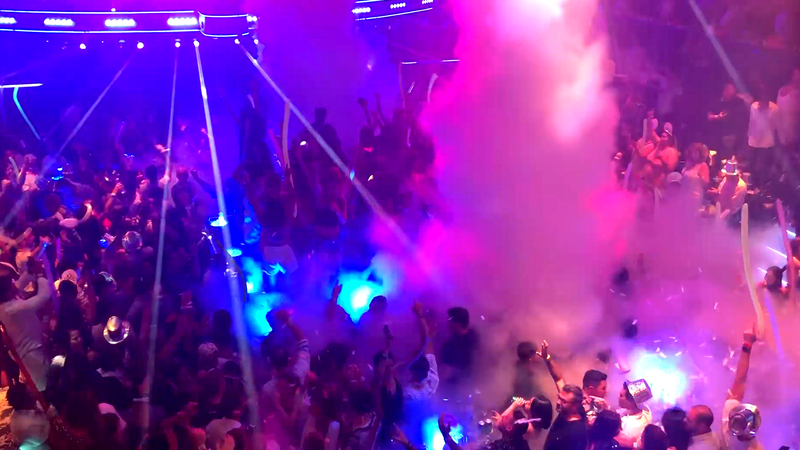 So, when TLC Creative was called to Cancun, Mexico, to help out with wireless lighting effects at the world-famous nightclub Cocobongo, TLC popped down to help make the party even more amazing. 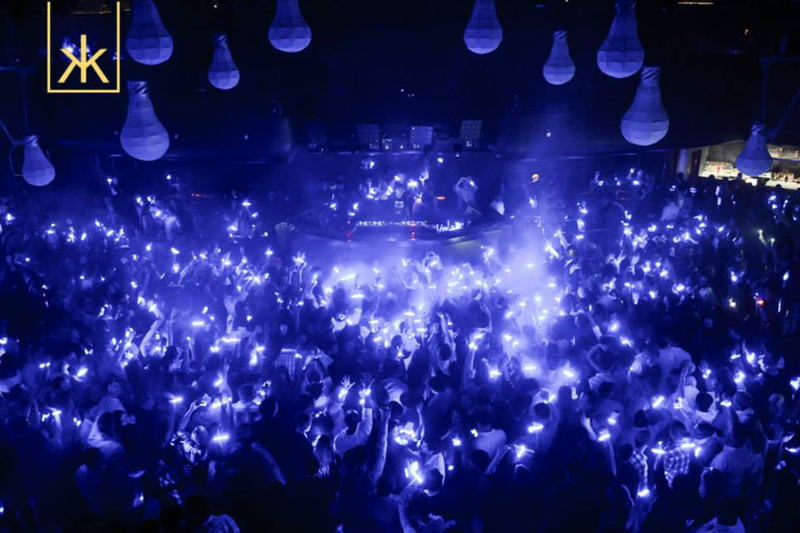 The wireless experts at TLC Creative help nightclubs and events enhance their experiences by bringing immersive light shows with LED wristbands and live special effects such as fog, lasers and atmospheric effects. TLC provides live special effects and technical support to top clubs and entertainment centers across North America. Fog effects, fog bursts and laser effects are just a few of the high-energy displays TLC creates for clubs, corporate events, trade shows and all types of special events, like weddings, bar mitzvahs and charity events. 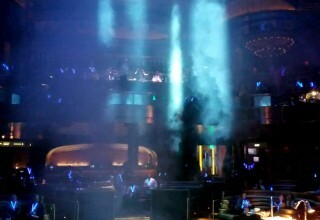 Bursts of fog are popular at clubs from Los Angeles to Las Vegas, and beyond. TLC creates high-energy excitement with fog bursts for dramatic reveals at company meetings, concerts and shows. Fog jets add powerful visual surprise and dramatic impact - creating a burst of white fog that dissipates extremely fast. The blast of fog comes from a small device that can be added to sets or stages in many ways. 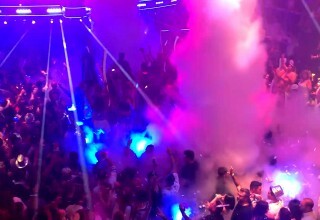 TLC provides Los Angeles and Las Vegas nightclubs with special effects of all kinds. 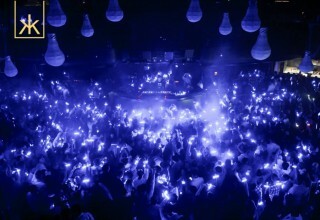 Light-up LED wristbands and lanyards create exciting moments full of color and light, connecting everyone to the light show. The light-up lanyards are similar to the famous light-up wristbands made famous by Coldplay and use live-control to synchronize the wearable lights and the music. They create an array of lights and moving patterns of light seen across the event. Light-up wristbands showcase the power of the group experience and clubs are tapping that power to create more satisfying experiences. 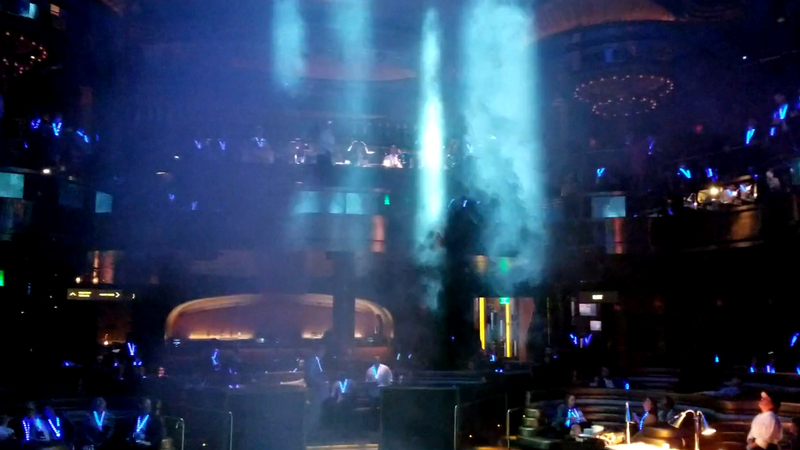 Lasers fill the air at Hakkasan club in Las Vegas, and many clubs use high-powered lasers for unique aerial effects. TLC creates many laser shows for events and provides new effects and ideas for laser display that is not typical beams in the air. Shapes and patterns created with laser light are highly entertaining, as are projected laser graphics. "Dancing With The Stars" called up TLC to assist lighting up their light-up "Mickey Ears" during a dance performance. The DWTS light-up hats used a wireless protocol that is similar to the one TLC uses for LED wristbands and LED lanyards. TLC created the colorful display in sync with the dance (and camera) movements. The sequence even began with a dancer "lighting up" the other dancer's heart. 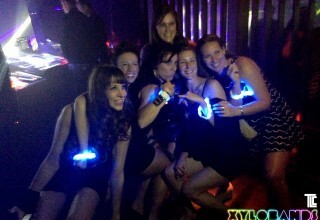 An event in Las Vegas featured light up lanyards for a meeting and also for a company party at the Omnia nightclub in Las Vegas. The light show on everyone's lanyards was performed by TLC in sync with the big Omnia light show. The lanyards connected every person with the show, and with each other, in an immersive experience of light and sound. The team of special effects experts at TLC Creative Special Effects have worked with Coldplay, bringing live special effects, glow balls and laser effects to their live performances. The AMA awards show on ABC included the band performing with light up Xyloband Glowballs, with colors synchronized to the song "Adventures of a Lifetime." TLC also created the drop-screen-projection-mapped show at the Los Angeles Staples Center for every home game of the Los Angeles Lakers. Step into any world-class nightclub on a busy night and see the new technology being tested on the celebrants - it’s a whole new world. The award-winning production team at TLC creates event experiences with live special effects, drone entertainment, Xylobands interactive events and other new technologies for live events. For more information, contact TLC Creative Special Effects.